The ultimate checklist for gathering around the grill! Long, hot days and summer nights are perfect for grilling. And there’s no better excuse for a cookout with family and friends than Labor Day weekend as summer comes to a close. To help get your barbeque bash under way, we’ve crafted a checklist filled with all your cookout necessities and a few added ideas to take it up a notch. 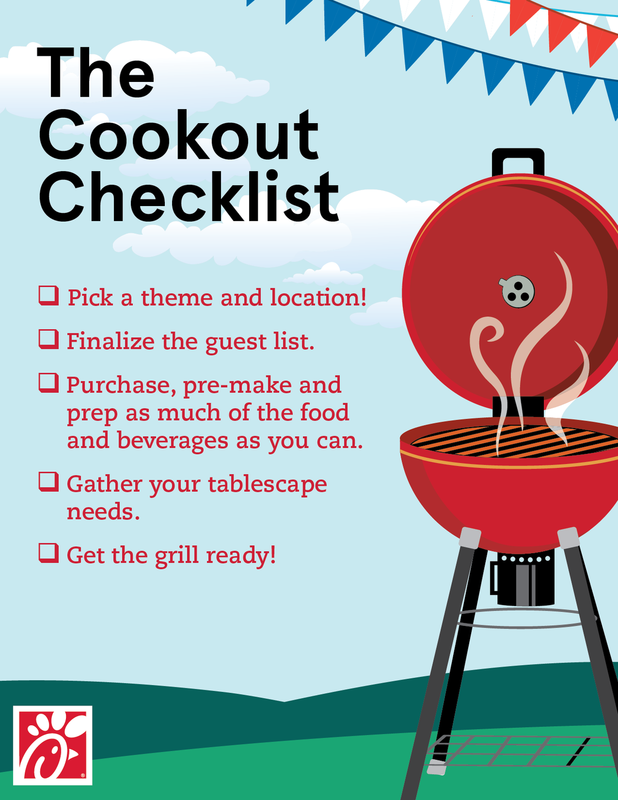 Whether you’re a grill-master or a barbeque-beginner, download our easy 5-step planning checklist as a great resource for planning a memorable cookout for all. Find a venue, like a public park or even your backyard, that has all the amenities (tables, bathrooms, etc.) needed to make your party a success. Decide the staple menu item(s) for your cookout. Pair side dishes and condiments that will compliment your meal. 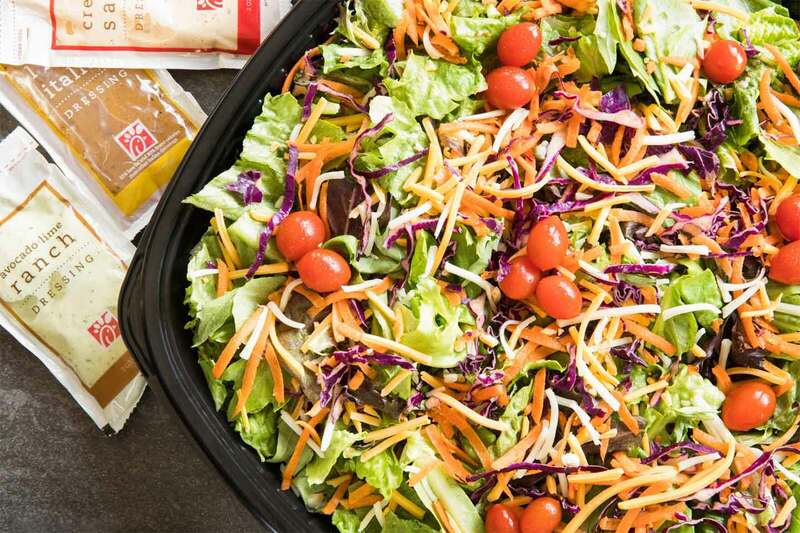 Order Chick-fil-A party trays to help fill the table with simple sides. You can find garden salad, Superfood side, fruit and cookies on our catering menu! Keep your coolers and cups cold by purchasing plenty of ice prior to the event. Organize and pack plenty of plates, napkins and utensils. Use containers with lids to pack and serve your food. Arrive early to set up the cooking area, seating, games, trash cans and anything else you may need. Stock up on charcoal and start the grill to begin cooking before your guests arrive. Tidy up throughout the party to help cut down your post-event clean up time. Take the atmosphere to the next level with simple décor like string lights or fun tablecloths. Create a party playlist and have your guests contribute one to two songs. Turn any side dish into a snack on-the-go by using kabob skewers or popsicle sticks. 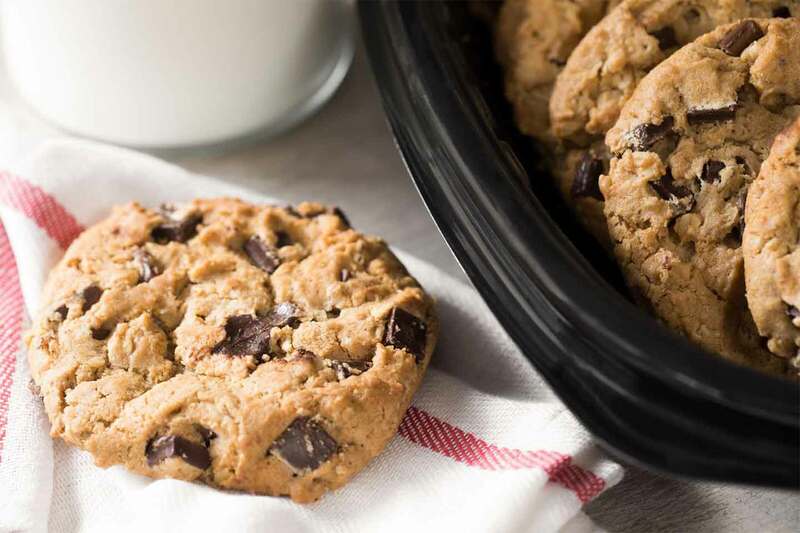 Provide containers for your guests to take home their leftovers.